Should I retire all of these and put the tokens in to Vincent? Vincent looks good to me. But Lilly and Esther also look good. Cheryl has bullet dodge which isn't so great. And you can definitely retire Jack. 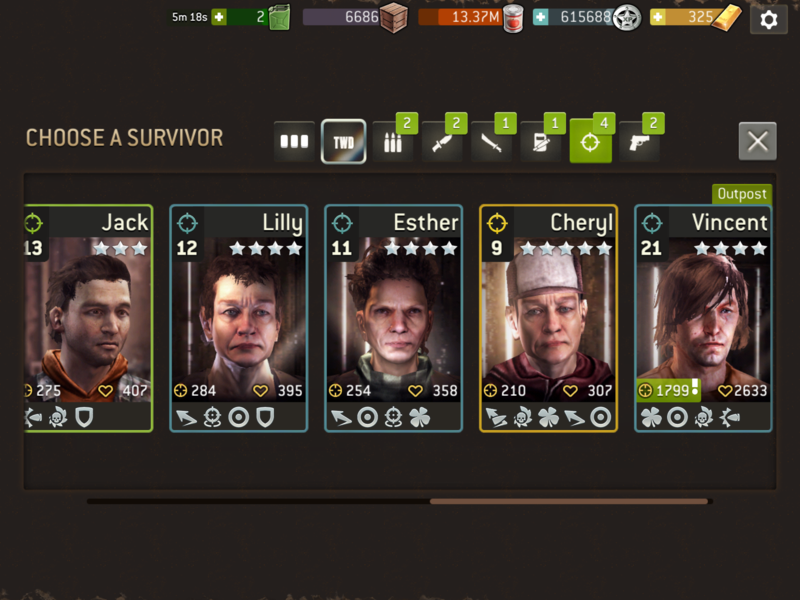 Depends on how many hunters you already have and if you are playing "The Distance" or push challenges hard - I like having a lot of survivors for each class so I can use the others if my main team is in the hospital. I would retire noone for now, the hunter tokens will come over time, and you'll still have them all. While if you retire them while you actually had space for them, the time may very well come that you regret retiring them. 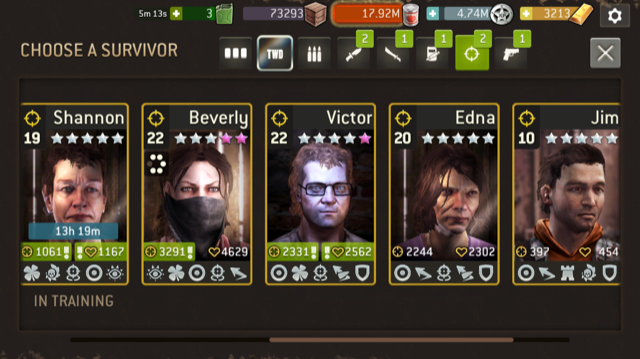 I've made a rule (for myself that is) to never retire a survivor unless I actually have a better one to replace it AND I have run out of space for new survivors. I'd say Lilly and Esther are the two best options. Any combination of lucky, iron skin, or ruthless for their last traits would be awesome. Definitely concentrate on Esther and/or Lilly. Agree with @MattOfEarth , but I will go first for Lilli, as she can be great with any trait, best for me would be luck. Esther needs iron skin, otherwise she will be made of glass, but have to agree, that she can be good killer too. I have a hunter which has exactly the same traits and character skin as Lilly. Vigilant for the 5th, could be better but could be worse, suppose it's not bullet dodge. But those are a perfect blend of offensive and defensive traits IMO. Good luck! Shannon is made of glass and Edna doesn't have ruthless. Jim has max damage and defensive traits, would you replace Victor with him as Sasha's sidekick when Beverly starts body shotting?